If you wish to send a particular mail that is being delivered to any email address to a different email address, then the procedure is referred to as email forwarding. 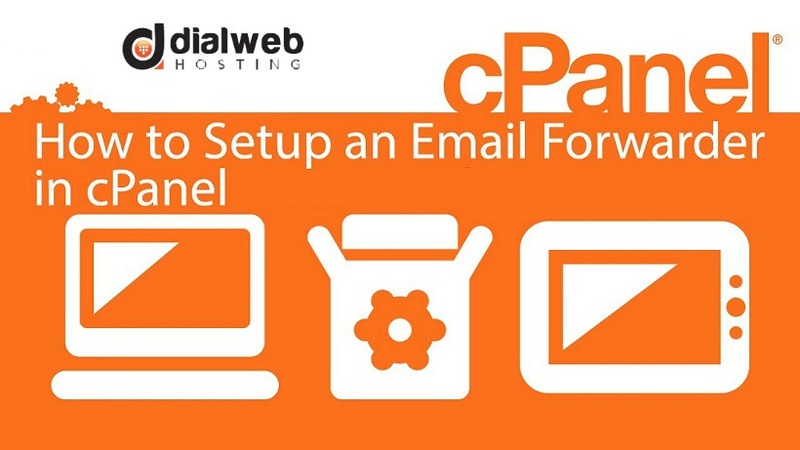 One can set email forwarders in Webmail as well as in your cPanel. We will focus on how to create an email forwarder in cPanel. Email forwarders facilitate sending a copy of an email automatically, to another email address from one email address. Email forwarders also help to have all messages forwarded to a single account if there are a number of email addresses for your organization. It also reduces workload of checking multiple email accounts. So if you have accounts@example.com, finance@example.com, and admin@example.com, then all emails of these addresses are forwarded to a single account such as office@example.com. With help of cPanel you can create two different types of email forwarders including Domain Forwarders and Account Forwarders. It is not possible to create multiple forwarders at one go since these can be only done individually. Account forwarders can be only assigned as a single forwarder for one email account. As far as domain forwarders are concerned, these are based on domain names and enable sending all email to the domain that is specified by you. There is every probability of overriding the existing domain setting for email accounts. By creating a domain forwarder for DomainA.com to forward to domainB.com, your will find that every mail for domain.com is automatically going to domain.com. Hence you must exercise utmost caution. In order to prevent such instances you need to ensure that corresponding email accounts are in existence for email to be delivered. The table for Email Account Forwarders has list of every email address that is supposed to use a forwarder for redirecting email to another service or address. Following actions can be performed in relation with email forwarders. You can view the email forwarder’s route by clicking ‘Trace’ in ‘Functions’ close to that email address. By entering a keyword in the ‘Search Text’ box and clicking ‘Go’ you can instantly find a particular email address. The Forwarder can be deleted by clicking ‘Delete’ next to the email address followed by clicking ‘Delete Forwarder’ for getting confirmation. It is advised to delete cPanel account for which email is being forwarded in order to prevent both accounts from receiving mail. It is possible to forward all incoming mail from one account to another account without receiving an email in first account by creating forwarder by using an email address that is not having cPanel account. In this case if you find that the account is existing then it needs to be deleted from cPanel. In can be highly cumbersome to check incoming emails addressed to multiple accounts unless you have email forwarders or in email account forwarders set up in cPanel. The emails can also be discarded or sent (pipe) to a program. In order to set up a mail forwarder, you will have to execute the following steps. Navigate to mail and then Forwarders section after you have logged into cPanel. Once you are on the Forwarders page, you need to select ‘Add Forwarder’. Here you will have to fill up relevant information such as details of email address and username in the space for ‘Address to Forward’. Select the domain name for which the username is from the dropdown. • The option of ‘Discard and send an error to the sender (at SMTP time) helps you discard incoming mail and sends a failure notice to sender automatically. The desired message for failure can be entered in text box provided for ‘Failure Message’. • You can use ‘Forward to system account’ option in order to forward incoming mail to system-user by typing desired username in text box. You need to remember that this program is designed to accept username of any user related to the server and there are no public-facing email addresses of system accounts. • Incoming mails can be automatically forwarded to a program by using ‘Pipe to program’ option. • It is not recommended to use the option of ‘Discard’ that discards incoming mails by obviating failure notice. This is not be used since the sender will not know failure of delivery. Now you have to click ‘Add forwarder. This will be confirmed by the message on the page of ‘Add a new forwarder’ reading as ‘all mail sent to mail@example.com will now be copied to yourself@email.com. Multiple mail addresses can be added to the forwarder just by separating by commas.